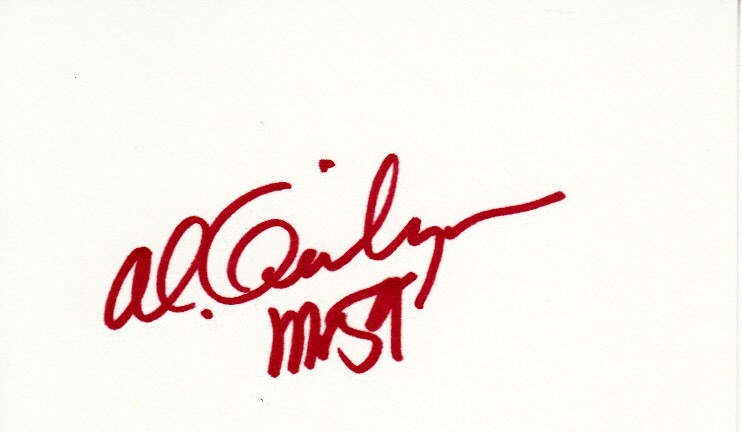 3x5 index card autographed in red marker by 1966 PGA Championship winner Al Geiberger and inscribed with his nickname Mr 59 (he shot the first 59 in PGA Tour history at the Danny Thomas Memphis Classic in 1977). With certificate of authenticity from AutographsForSale.com. ONLY ONE AVAILABLE FOR SALE.